Athletes at the top of their game are said to be in the prime of life. They push the limits of speed, strength and agility and do so with a never-fail attitude. The élite are usually young, competing when the mind and body can handle the mental and physical challenge of being the best. And while Kelvin Antoine, better known as “Grandpa Ninja,” seems like an oxymoron, he will be the first to tell you that age is all in your head. 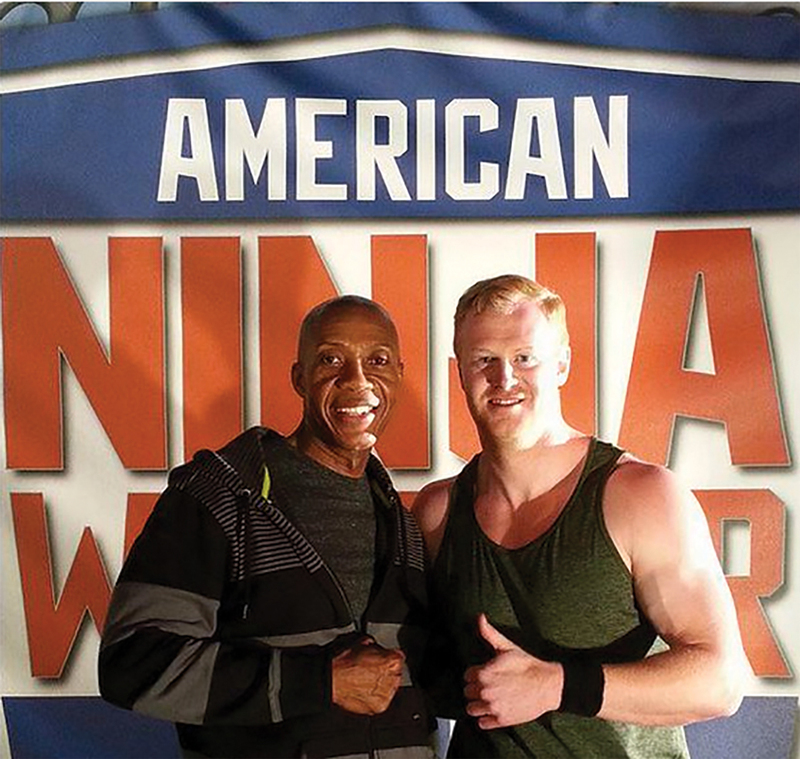 At age 53, Kelvin made history by being the oldest competitor to complete the regional qualifying course on American Ninja Warrior, moving on to the finals in Las Vegas where he scaled the famously difficult Warped Wall in stage one. The wall is sharply curved and stands 14-16 feet high, and it takes just the right kind of physics to grab the top in three steps. 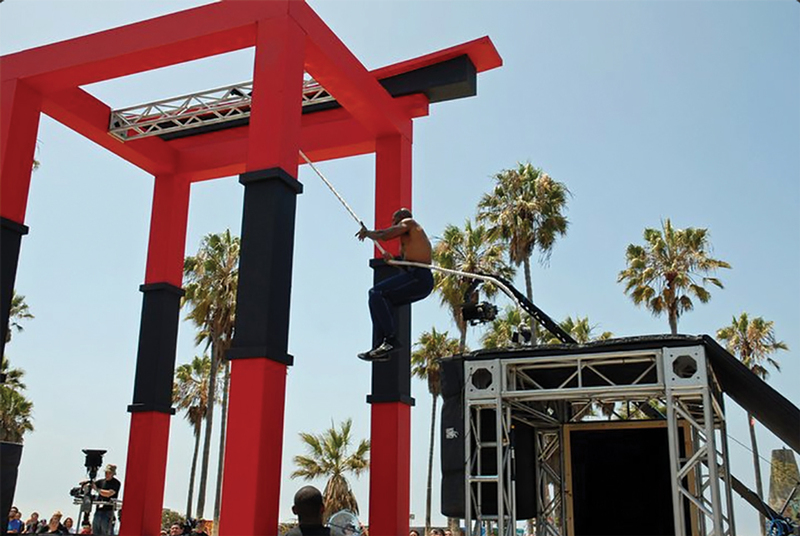 American Ninja Warrior, a television series set to begin its ninth season, is an obstacle course divided into four stages of increasing difficulty. Three of them are timed; all of them require élite athleticism to conquer ropes, barrels, climbs and jumps. 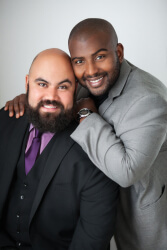 Contestants must first submit a video and a 20-page questionnaire to the producers. 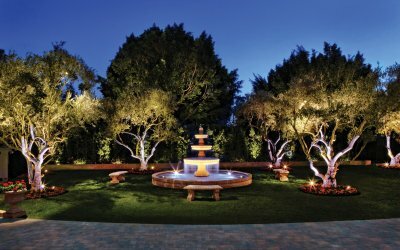 If accepted, the ninja will compete with 100 other ninjas in the city and regional courses with the hopes of advancing to the finals in Las Vegas. 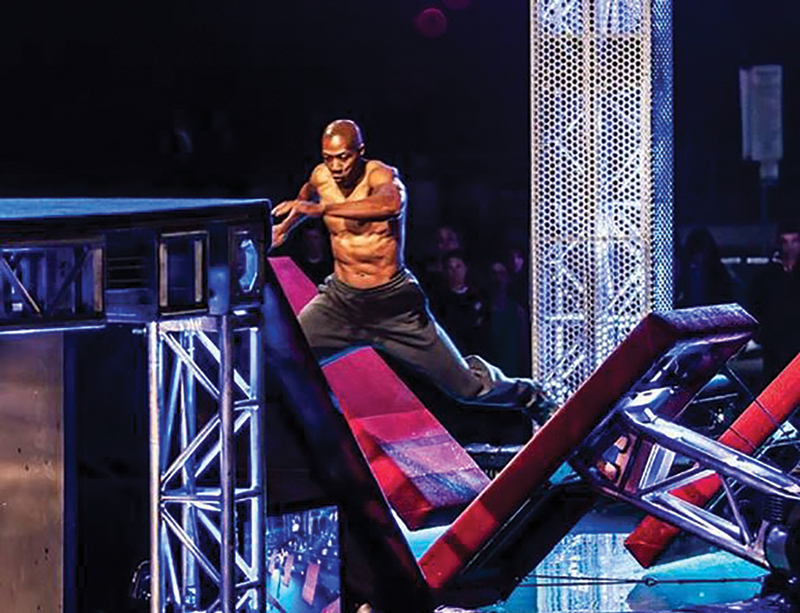 Only two competitors have reached “Total Victory” in the American version of Ninja by completing the full obstacle course in Las Vegas: Isaac Caldiero and Geoff Britten, both in Season 7. The final stage is a 75-foot rope, which both total victors climbed in under 30 seconds. Caldiero was faster, earning him the $1 million prize. Currently, 70,000 hopefuls apply for the chance to surmount these incredible obstacles. 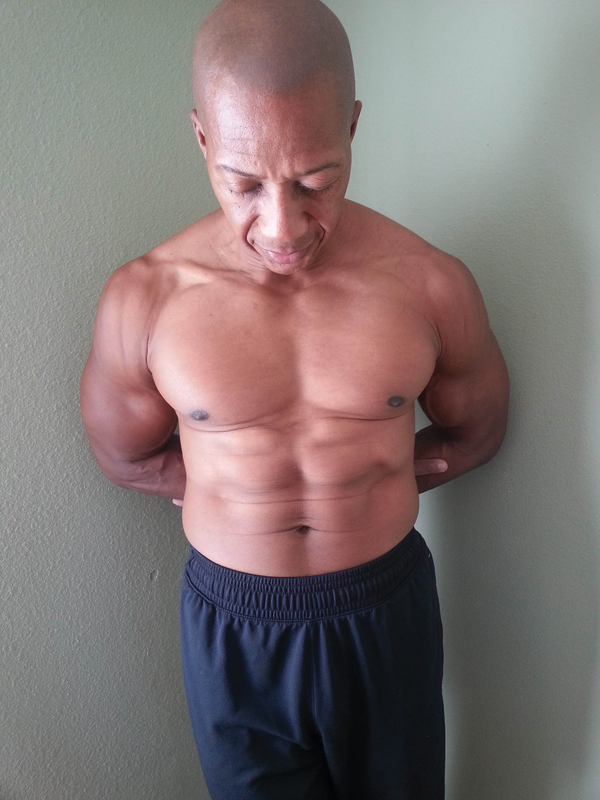 In the ninja community, Kelvin is widely popular because of his accomplishments in what most consider a late stage in life, and many people over age 40 have returned to exercise citing Grandpa Ninja as the inspiration. Kelvin was born on the Island of Trinidad. His mom ran track, and his dad was a boxer. They did not own a television, so Kelvin spent most of his time playing outside. In school, he played cricket, futbol (soccer), and ran track-and-field. 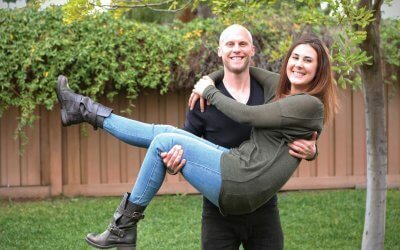 He moved to Santa Clarita at the age of 17 and continued his athletics through the present with running, weight-lifting, rock-climbing and yoga. Not a day goes by without several forms of exercise. Many look to Kelvin for advice. His example of discipline and focus is even stronger than his words. Kelvin has worked for Pepsi Co. for 30 years in shipping and receiving and has never had an injury, something his boss is eternally grateful for. Pepsi gives the warehouse staff 15 minutes of warm-up time, for example, to prepare for the long day of shifting merchandise. During that time, Kelvin does lunges from one end of the warehouse to the other, encouraging his co-workers to join, and he can still run three miles in 15-20 minutes. 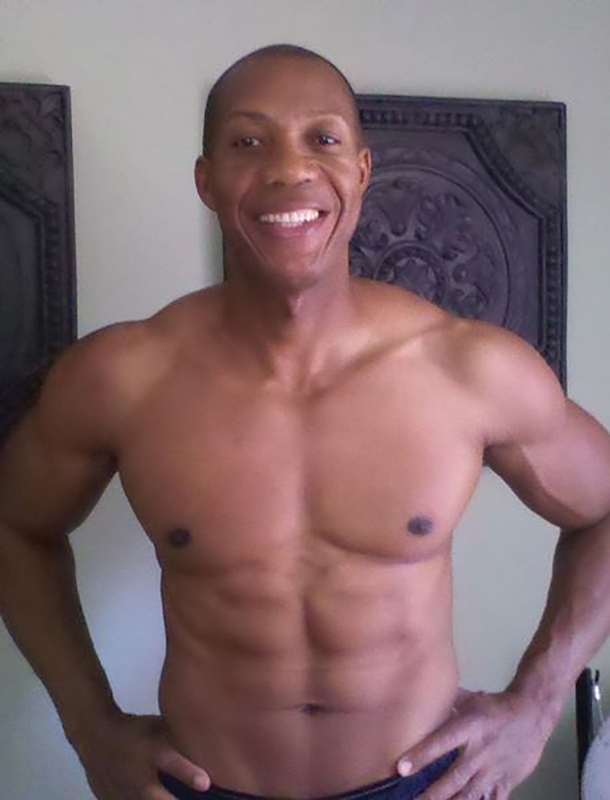 Passing on his love of athleticism to his family, Kelvin has been married 35 years, with two children and six grandchildren who are all active with baseball, basketball and gymnastics. Grandpa Ninja might be his nickname, but ironically, the show’s Japanese roots suit him better. American Ninja Warrior is an offshoot of the Japanese show Sasuke, which means excellence when translated.